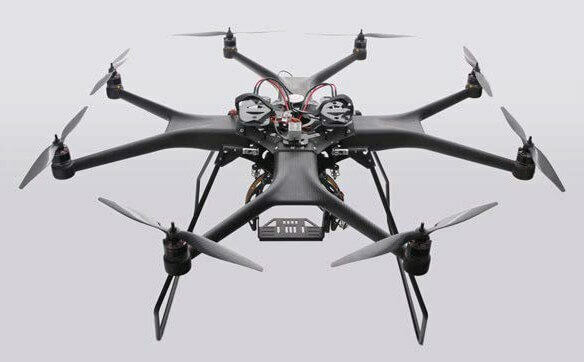 Drone, UAV (Unmanned Aerial Vehicle), UAS (Unmanned Aerial System), RPAS (Remotely Piloted Aircraft Systems) – these are some of the terms for craft that are colloquially and collectively known as Drones. In my youth we had model aeroplanes with small butane or electric engines that we remotely controlled with a 4 channel Futaba radio control set. The key differences between these and the modern equivalent is the addition of cameras, GPS and other sensors that capture imagery, position and other data. Modern drones are also capable of a lot more autonomous functions such as auto take off, auto levelling and automatic return to the point of launch, which have only been enabled by the advent of cheap and powerful microprocessors and GPS positioning technology. Some of the high end models can use a flight plan that is created on a computer or tablet, take off, execute the flight plan including shooting imagery at specific GPS co-ordinates and then return and land with no human intervention. Truly autonomous vehicles. These incredible vehicles are also now relatively inexpensive and widely available. You can go to most malls and find drones for sale, from small helicopters for $25 to Octocopters with 8 powerful rotors and a 4K video camera for $6,000+. This creates some interesting and potentially dangerous issues, when an inexperienced pilot can buy a 4-5Kg drone capable of flying thousands of meters in the air and travelling at speeds in excess of 80km/h, all without a license. There are also the obvious, and not so obvious, issues surrounding the privacy of those that come under the drones’ camera eye. Every day there are more incidents where drones are flown where they shouldn’t be and while there haven’t been any deaths yet, there have been injuries and I fear that is only a matter of time. The CAA and Airways have moved quickly to create the regulations, but they are poorly advertised and most people who are purchasing these drones have no idea that they exist. If you are considering the purchase of a drone, or if you already have one, check out the Airshare site Airways has created (https://www.airshare.co.nz/). It has an excellent range of tools and information to help drone operators understand the regulations and help them learn to fly safely and within the law. 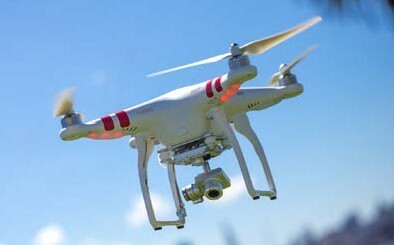 Drones are incredible tools for business and pleasure, but they are very similar to other vehicles in that, used improperly, they can be dangerous or even deadly in uninformed and inexperienced hands. Get informed, get trained and respect the drones! Previous story “Say What” … AI is it smart as the movies ?